. Published on Monday, August 1, 2016 . In a matter of days, national pride will hit an all-time high as people across the world gather around their TVs to watch their favorite athletes set foot in Rio de Janeiro, Brazil. That’s right—the 2016 Summer Olympics have arrived, and with it, comes an unbelievably talented set of athletes, both old and new, ready to dominate the first place podium. Already the most decorated American female gymnast, Simone Biles is going to be a tough contender in all-around gold at the Games. 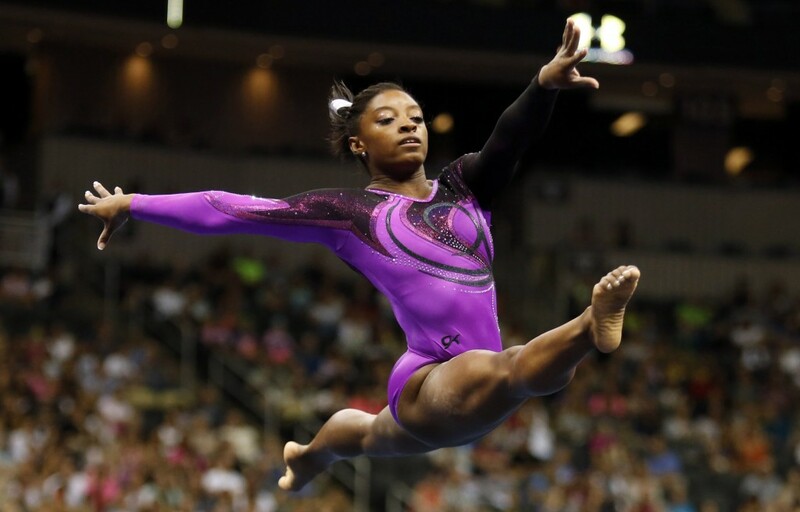 Biles has 14 world championship medals (10 of which are gold), and she is the first African-American to win world all-around champion and the first woman to win three consecutive world titles. Did we mention she’s only 19 years old? Goals. The history-making just keeps on going. Indian gymnast, Dipa Karmakar is the very first female gymnast from her country to qualify for the Olympics. Not only that, Karmakar is the first gymnast—male or female—that India will be sending to the Olympics since Tokyo 1964. Her strength is in vault; in fact, she is one of only five women in the entire world to have landed a Produnova, one of the hardest vaults to accomplish. Nine-time world champion, Katie Ledecky made her debut at the 2012 Summer Olympics in London as the youngest member of Team USA—she was only 15 years old. And at such a young age, Ledecky walked away from her first Olympics as a gold medalist in the 800-meter freestyle, in what would go down as the second fastest performance in history. Who runs the world? Girls. It’s no secret that Olympians work infinitely harder to push their bodies to almost superhuman limits, and that holds true for Matheus Santana, a swimmer from Team Brazil. At just eight years old, Santana was diagnosed with diabetes, and in 2013, the Brazilian men’s swimming team cut him in fear for his health. With the help of his mom, Santana found the best doctors and worked hard to return to the team. Today, after winning a gold medal and two silver medals at the 2014 Summer Youth Olympic Games, Santana is ready to go to his first ever Olympic Games as the nation’s biggest hope for success this year. Team Brazil or not, you have to admit you’re rooting for him a little too! Hailed as one of the most successful female divers of all time, Wu Minxia is definitely an athlete you can expect a gold medal or two from. Entering the Rio Games with four Olympic titles and eight world titles to her name, Minxia is competing as the Chinese favorite. It’s already hard enough being a gymnast, but a gymnast working 40 feet in the air? Minxia is queen. Usain Bolt is, without a doubt, the fastest man in the world and the most decorated sprinter of all time. After all, he is the world record holder for fastest 100-meter sprint (a mere 9.72 seconds, a.k.a. a minuscule fraction of the time it takes me to think about whether or not I should go to the gym). With the Rio Games being the six-time Olympic champion’s last ever, Bolt is sure to go out with a bang at his favorite event, the 200-meter sprint. If there’s a woman who can do it all, it’s Jazmin Sawyers. The 22-year-old athlete has competed in both winter and summer sports, having won silver at the 2012 Winter Youth Olympic Games in bobsleigh (sleigh, girl, sleigh). After transitioning sports, Sawyers will be moving on to compete in long jump at the Rio Games after winning the British Championships with a personal record of 6.75 meters (that’s almost four Michael Phelps in case you were wondering). 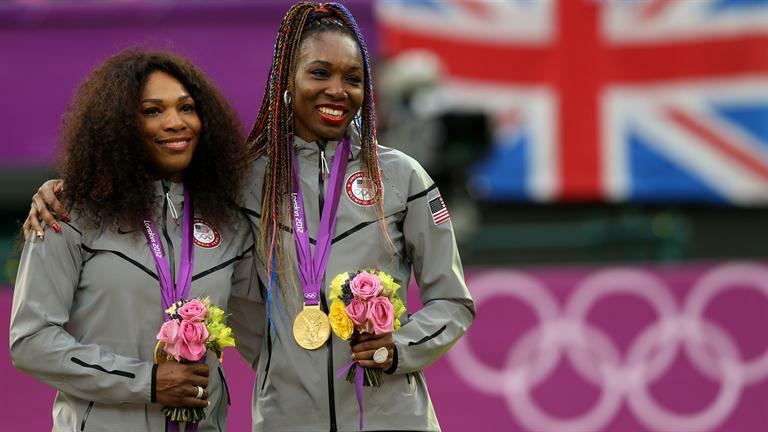 The duo that has been dominating tennis for more than a decade is returning to defend their titles at the 2016 Summer Olympics. These fabulous ladies are no strangers to winning; with three gold medals in doubles, a gold medal each in singles, 21 women’s doubles titles, 14 Grand Slam women’s doubles titles and so much more, you can expect these sisters to completely crush the competition at the Games. Don’t forget to watch Serena kill it at singles, too! Hope Solo is giving women around the world exactly that: hope. The U.S. women’s soccer goalkeeper has recently made headlines for leading her team’s fight for the opportunity to earn the same amount of money as their male counterparts (the women’s team ranks first in the entire world while the men’s team ranks 25; I think equal pay is a fair thing to ask for). But all the fighting hasn’t distracted from her game. Solo’s participation in the Olympics will earn her her 200th cap (that is, participation in an international game), making her the 11th U.S. player and the very first goalkeeper in international soccer history to do so. Keep it up, Hope! There are so many more sports in the Olympics, we can’t possibly name all the amazing athletes competing, but we’d love to hear from you. Who are some of your favorites you’ll be keeping track of for the next two weeks? Let us know using the hashtag #CampusCropChat on Facebook, Twitter or Instagram, and remember to follow us on Snapchat @asicpp!